If you have been around central Pennsylvania lately, you know that it has been hot--hot and dry! Up until a few days ago, things were starting to get pretty bad. Local creeks were drying up, the rivers were getting scary low, and practically all my grass at the house had died. Because of my work schedule, I have only been fishing a little bit lately... and mostly at night. 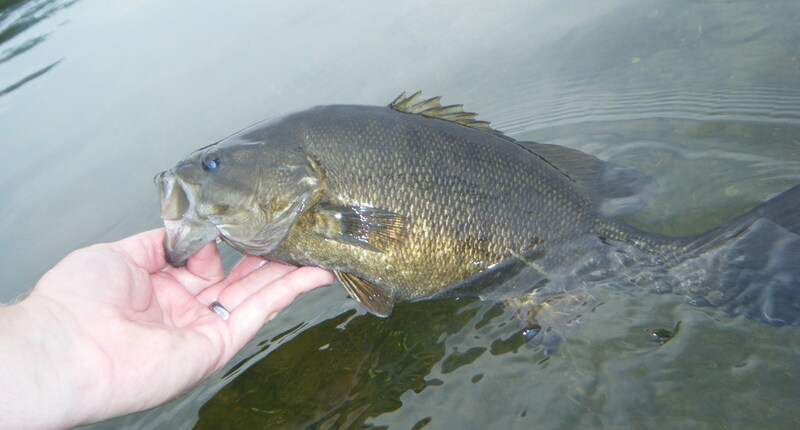 But fortunately I was able to get out on the river in the daylight a few day s ago. I only had a couple hours to fish, so I spent the majority of my time wading around a semi-deep stretch of river, were I knew the fish would be concentrated due to the low water. The time was mid-day and with relatively sunny skies. The fishing was excellent! I love summer topwater strikes, so I fished mainly weightless soft plastics... jerkbaits and lizards/creatures baits on or near the surface. 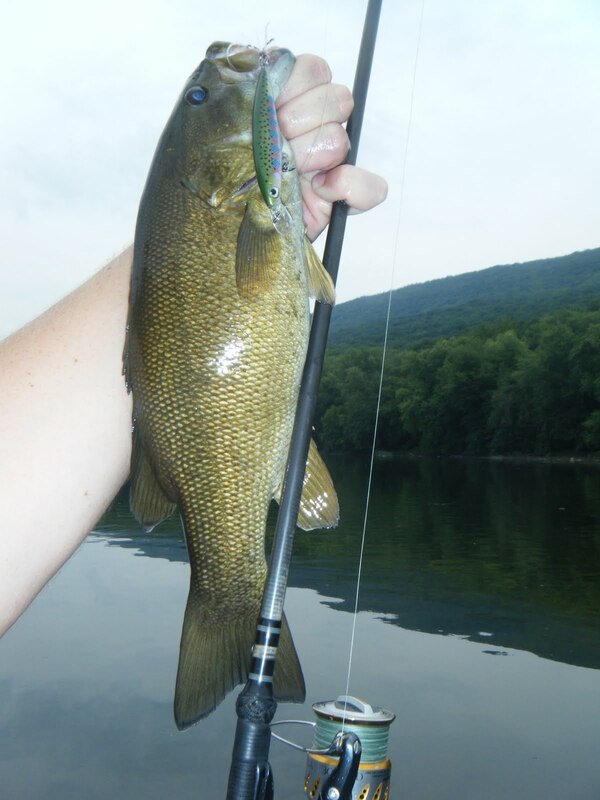 I did try some other lures though, and ended up landing one nice smallmouth on a trout colored X-rap. 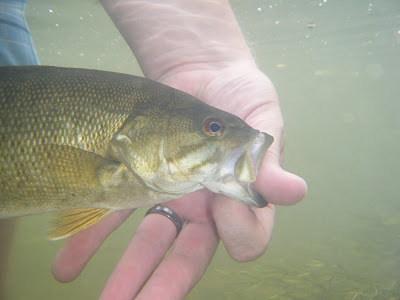 Thankfully the bite was pretty good, and at the end of my trip I had landed 20 + smallmouth anywhere from 6 to 16 inches. 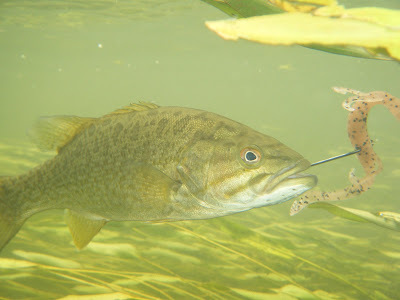 I also enjoyed some awesome topwater explosions! 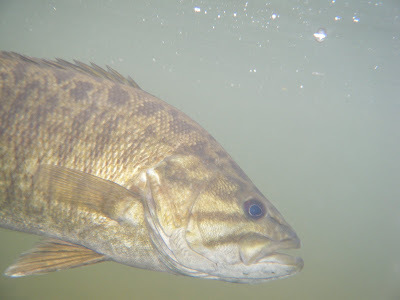 One of my other goals for the day (aside from catching fish) was to make use of my waterproof camera and finally get a couple decent underwater shots of smallmouth. I took a few shots... but I found out there is definitely a learning curve in dealing with current and fishing/shooting solo. Well, I guess that is all for now. I hope you enjoy the images, and I hope to see you on the water soon as well! 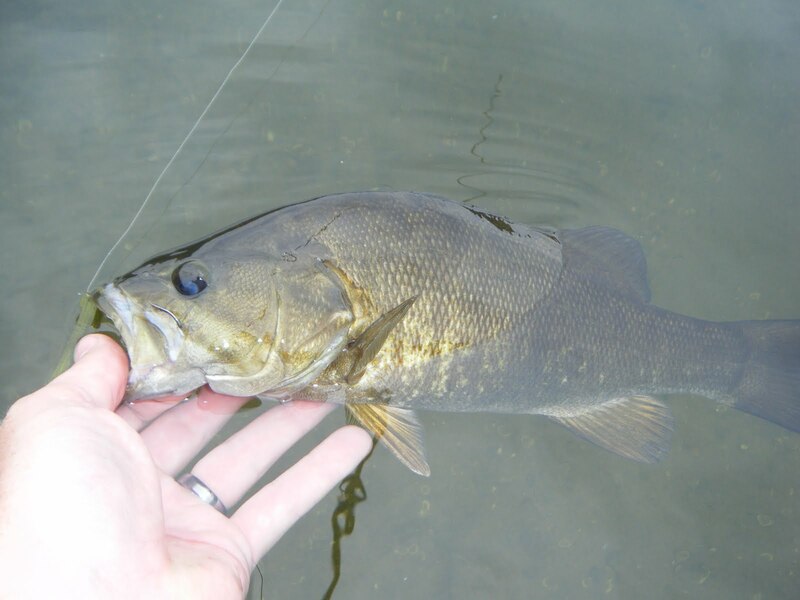 This can be a fun time of the year to fish... So get out there! Thanks again for reading.